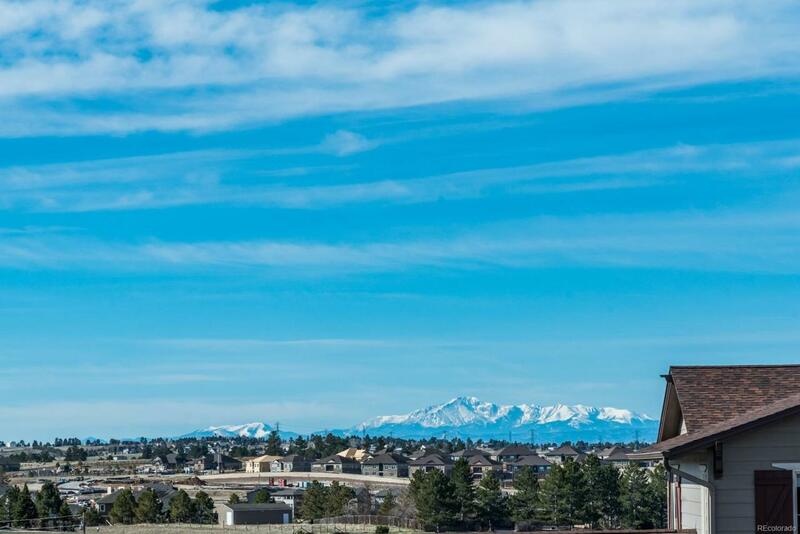 Near E470, DIA, Aurora Res, Cherry Creek Park, trails, shop/dine at Southlands Mall. 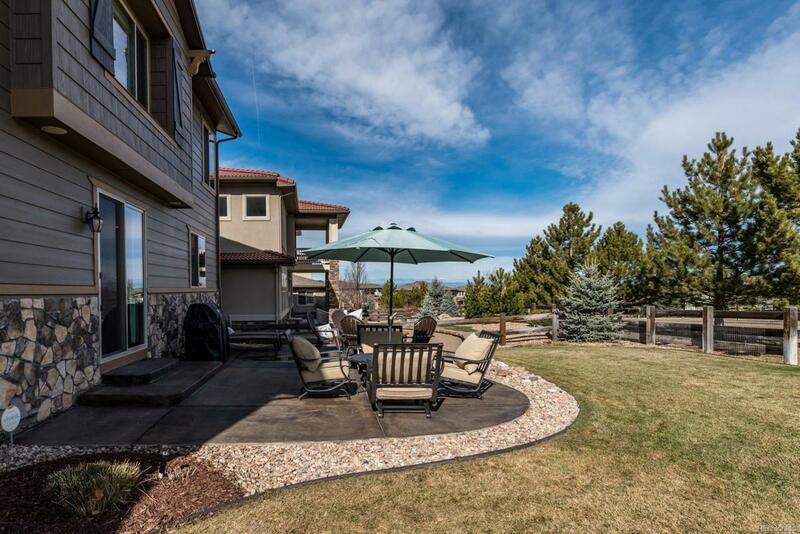 Bluff, farmland and mountain views, gas fire pit. 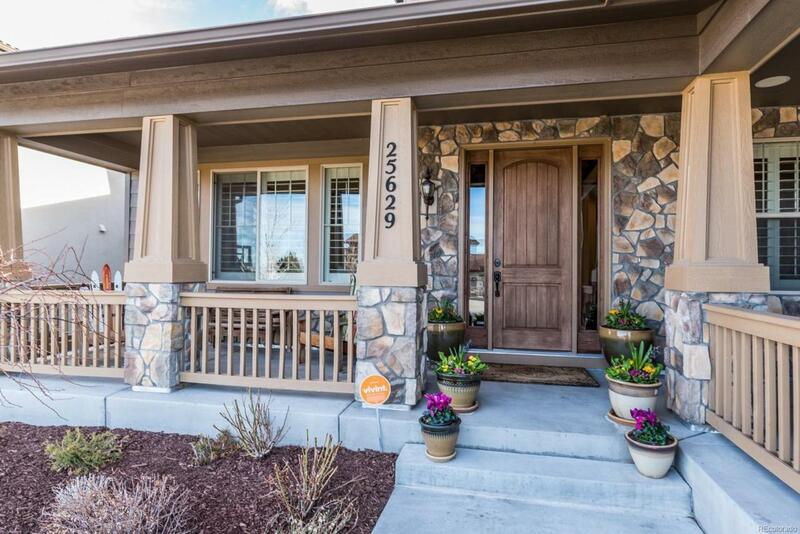 Sophisticated home w/ uncompromising elegance & style! Over $91,000 invested after builder upgrades! Hand-scraped wide-plank Acacia floors, coffered ceilings, crown molding, decorative pillars, plantation shutters, slate floors. Gourmet kitchen w/knotty alder cabs, granite, travertine, stainless, double ovens + gas cooktop. 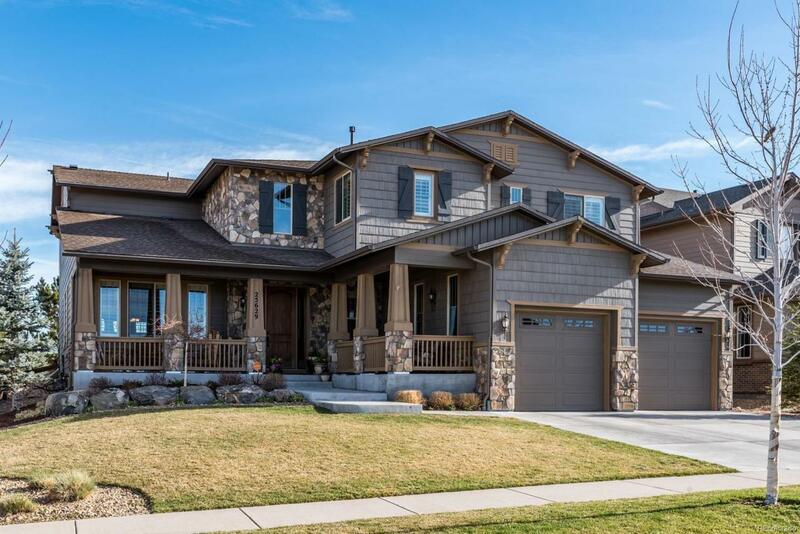 Soaring ceilings w/ exposed stain grade beams + floor to ceiling stacked stone wall anchored w/ a gas fireplace. Onyx vessel sink dresses up powder room. Circular staircase w/ stacked stone + wrought iron. Multi-purpose loft & 4 beds up. Master 14 x 13 closet, spa-like bath, Euro frameless shower, tumbled travertine, granite. Pro finished bsmt=media/rec & wine grotto. Barn door leads to large bedroom. Sauna bsmt bath. Whole home audio, dual main level staircases, dual zone heat & air.